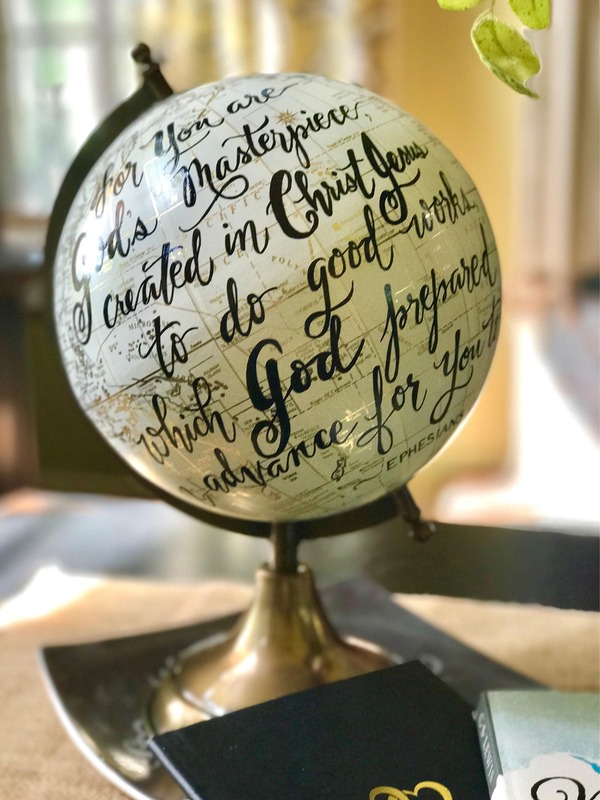 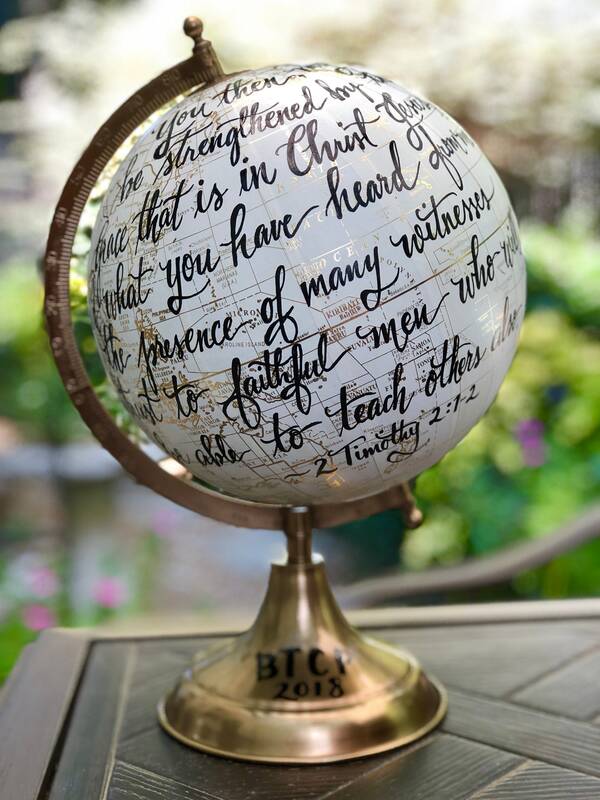 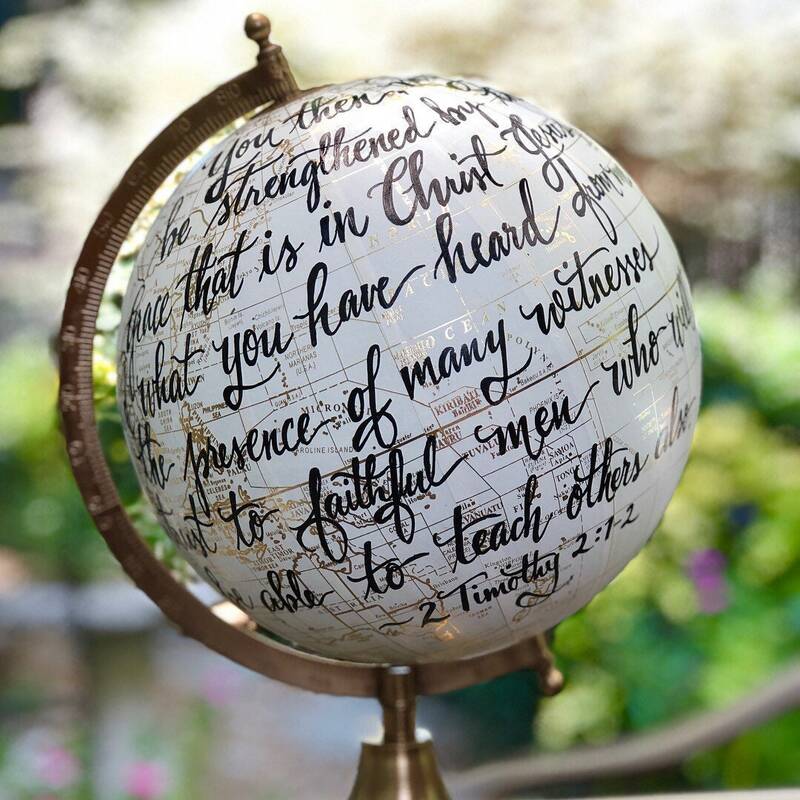 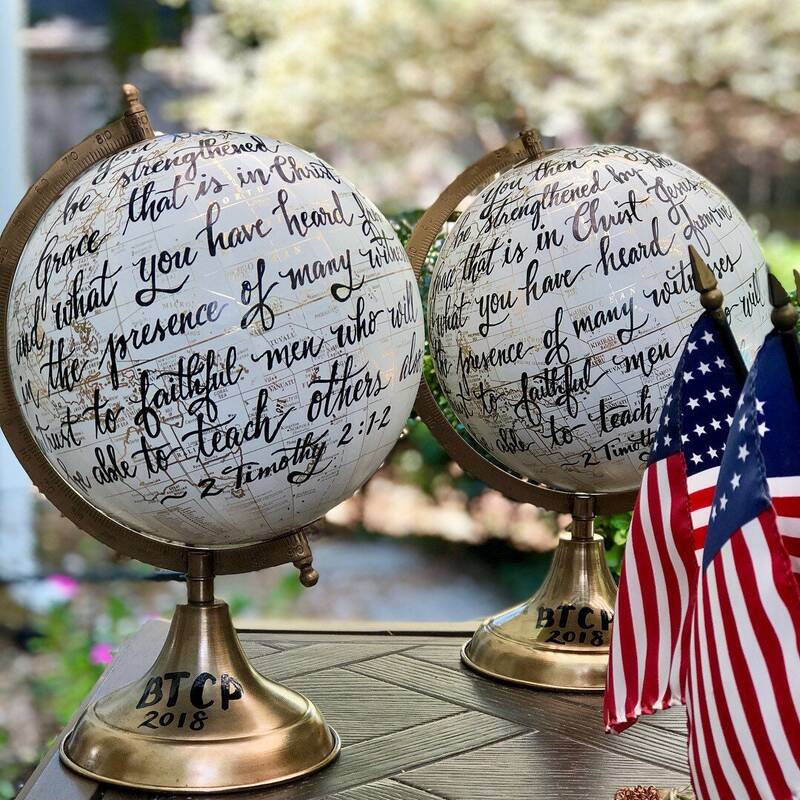 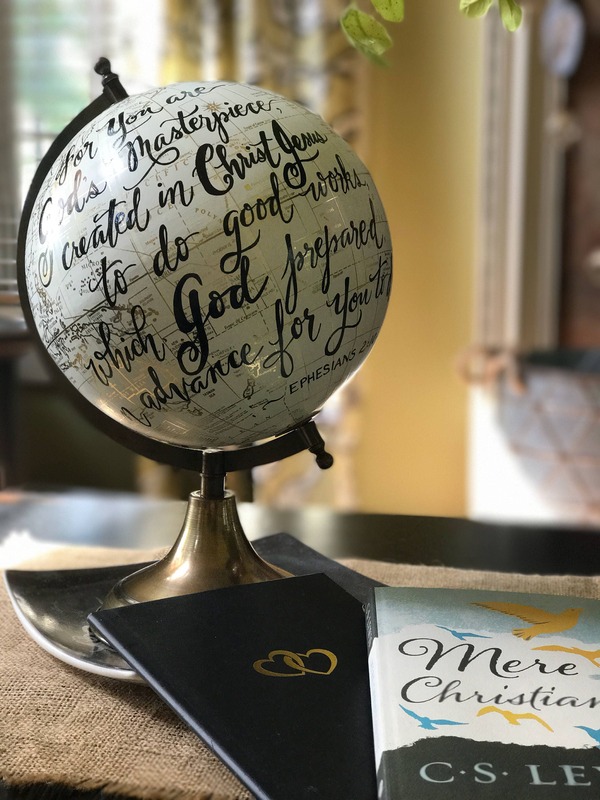 This listing is for ONE MEDIUM-SIZED CUSTOM CALLIGRAPHY GLOBE (GLOBE IS WHITE AND GOLD WITH GOLD METALLIC CALLIGRAPHY) WITH THE WORDING FROM EPHESIANS 2:10 (Choose ink color in drop-down menu) -or- GOD SO LOVED THE WORLD -or- or other custom longer wording choice - CUSTOM CALLIGRAPHY CAN BE ADDED TO ONE OR BOTH SIDES - CHOOSE OPTION OF YOUR CHOICE AND INK COLOR IN DROP-DOWN MENU. 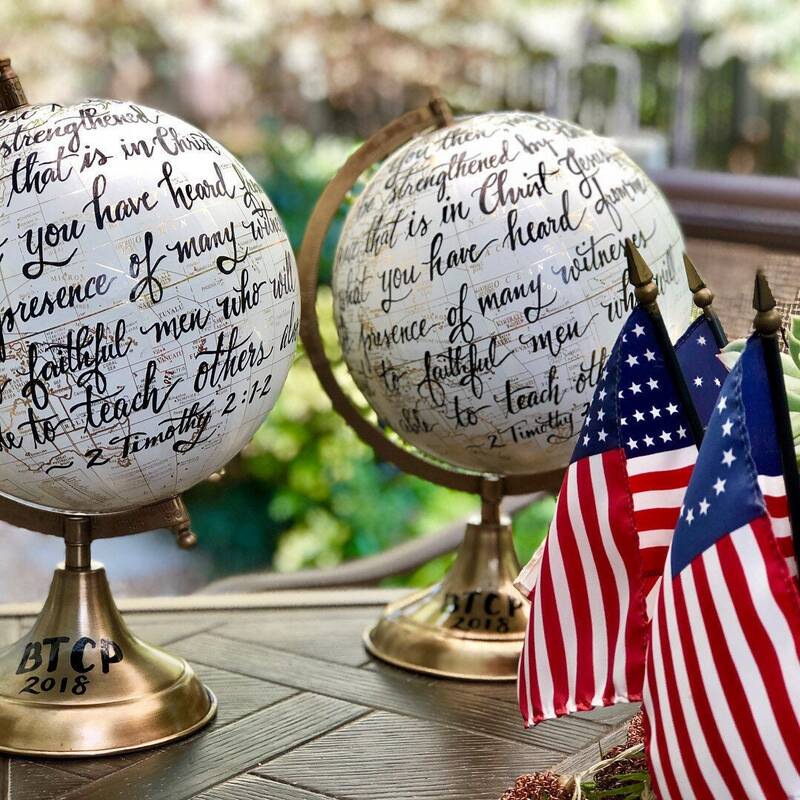 NOTE: There may be slight metal indentions in the base of the globe and slight imperfections in the globe surface itself. 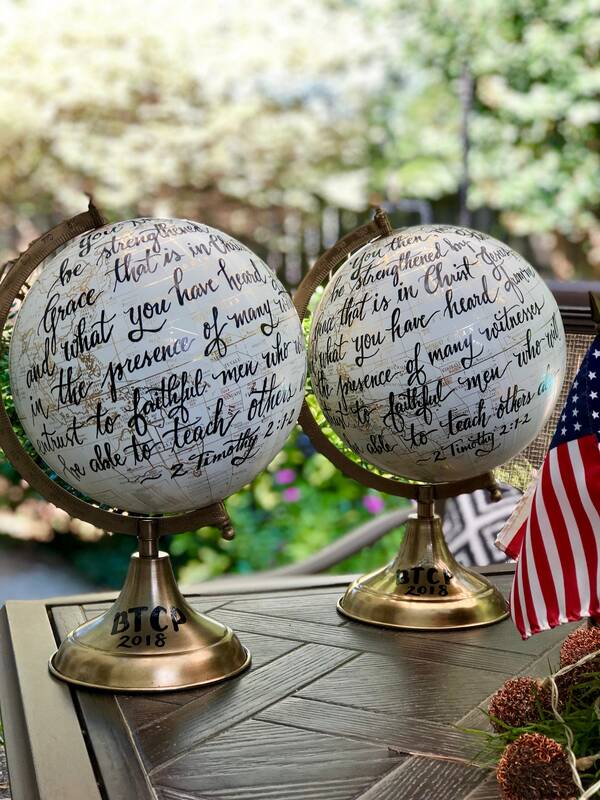 These are not defects, but are part of the general vintage globe appearance.